Son of Luke Bradley, a shopkeeper on Tonge Moor Road. After leaving Bolton Technical College he taught engineering subjects there at evening classes. He worked as an engineer in Europe between the ages of 19 and 24. On his return to Bolton he set up in business for himself, manufacturing his own patents and also establishing an early automobile engineering company in 1913. 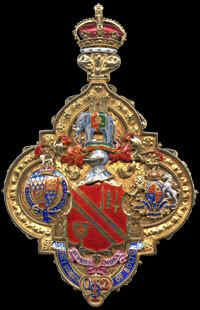 Governing director of Walter Bradley (Engineers) Ltd, Deansgate, Bolton. Represented Tonge Ward from 1921. 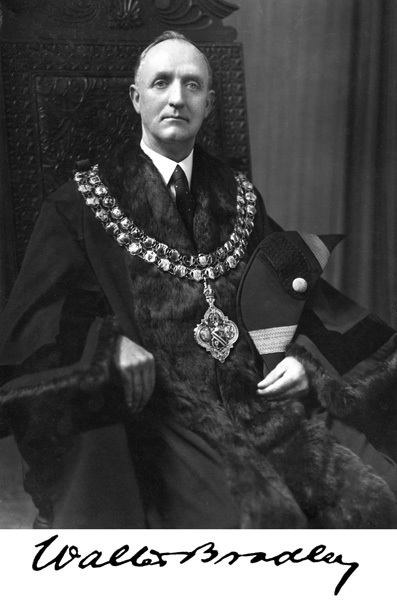 Alderman November 1937. Chairman of the Transport Committee and member of several others. Presided over the celebrations for VE and VJ Day in 1945. 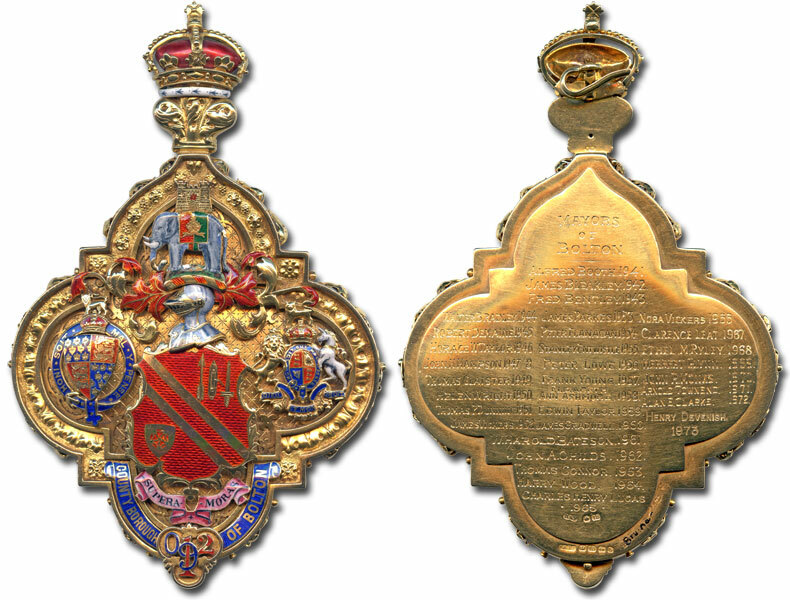 Made a CBE 1 January 1949. Chairman of the National Joint Industrial Council for the road transport industry and of Lancashire and Cheshire Municipal Transport Authorities. Deputy Transport Commissioner for the north-west area. President of Tonge Moor Conservative Club for well over 20 years. Anglican - Sidesman and Sunday School teacher at St Augustine's Church, Thicketford Road. His wife, Constance, was Mayoress. 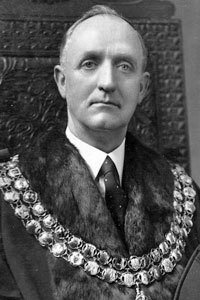 Formal portrait of Walter Bradley as Mayor of Bolton.